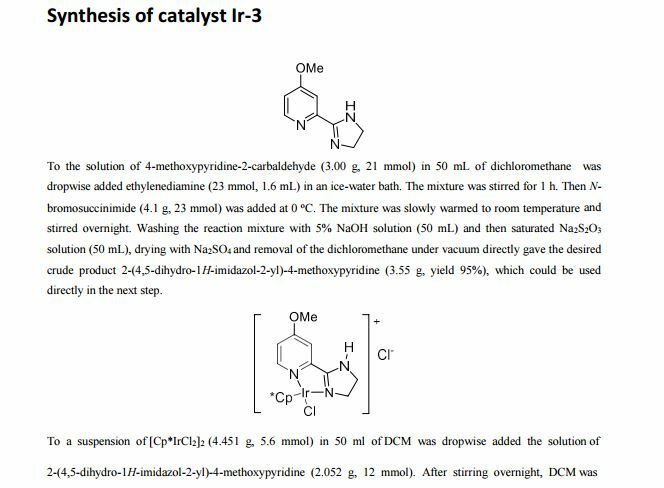 A water-soluble highly efficient iridium catalyst is developed for the chemoselective reduction of aldehydes to alcohols in water. The reduction uses formic acid as the traceless reducing agent and water as a solvent. It can be carried out in air without the need for inert atmosphere protection. The products can be purified by simple extraction without any column chromatography. The catalyst loading can be as low as 0.005 mol% and the turn-over frequency (TOF) is as high as 73 800 mol mol−1 h−1. A wide variety of functional groups, such as electron-rich or deficient (hetero)arenes and alkenes, alkyloxy groups, halogens, phenols, ketones, esters, carboxylic acids, cyano, and nitro groups, are all well tolerated, indicating excellent chemoselectivity. 4-Methoxybenzyl alcohol (2a)2 . Yellowish oil. Yield: 273 mg, 99%. 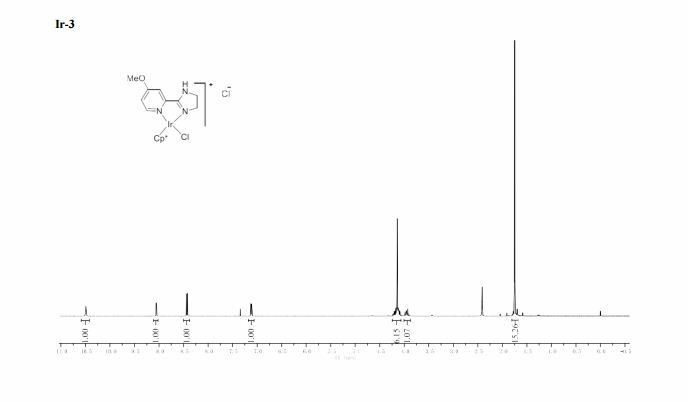 1H NMR (400 MHz, CDCl3) δ 7.23 (d, J = 8.8 Hz, 2H), 6.85 (d, J = 8.7 Hz, 2H), 4.52 (s, 2H), 3.76 (s, 3H). 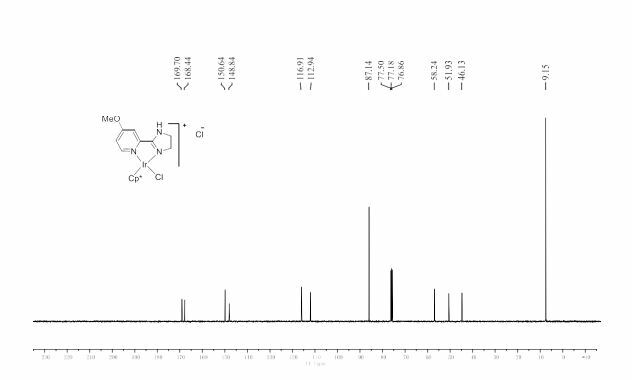 13C NMR (101 MHz, CDCl3) δ 159.07, 133.23, 128.63, 113.89, 64.73, 55.30, 55.26.